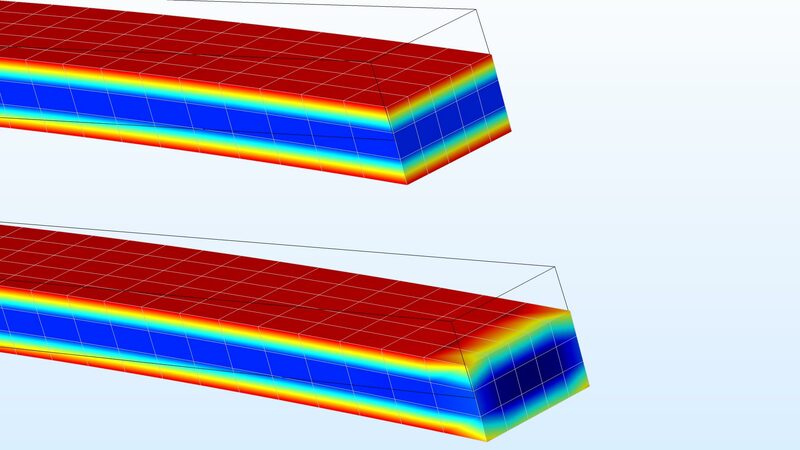 For users of the MEMS Module, COMSOL Multiphysics® version 5.4 includes the boundary element method for electrostatics in electromechanics modeling and new structural mechanics related functionality, as well as three new MEMS tutorial models. Learn more about these MEMS Module updates below. The Electromechanics, Boundary Elements interface combines the functionality of the Solid Mechanics and Electrostatics, Boundary Elements interfaces to model the deformation of electrostatically actuated structures. The coupling is a boundary load on a structure caused by the Maxwell stress at the interface of the solid domains and nonsolid voids, where the electric field is computed using the boundary element method. The backward coupling to the Electrostatics interface is due to the deformations of the boundaries. Physics interfaces based on the boundary element method can be combined with those based on the finite element method. For the Electromechanics, Boundary Elements interface, the Solid Mechanics interface is based on finite elements whereas the Electrostatics interface is based on boundary elements. The most important benefits with the boundary element method for electrostatics is that there is no need for a volume mesh in the in-between and surrounding air and there is no need to add infinite elements for the surrounding unbounded domain. The surrounding infinite domain is automatically accounted for when using boundary elements. 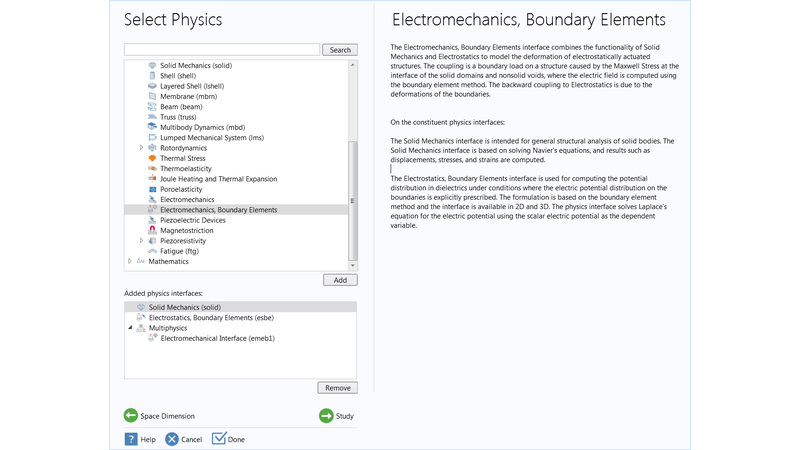 Screenshot of the Model Wizard for the new Electromechanics, Boundary Elements interface. The fluid-structure interaction (FSI) couplings have been extended to allow interaction with shells and membranes. At the same time, the Fluid-Structure Interaction multiphysics coupling has been redesigned so that the same coupling is used both for situations where the deformation of the fluid domain is important and when it can be ignored. There is also a new multiphysics coupling for fluid-structure interaction in assemblies, where the interface between structure and fluid does not have to be a common boundary with a shared mesh. Flow through a ball check valve; streamlines colored by pressure. 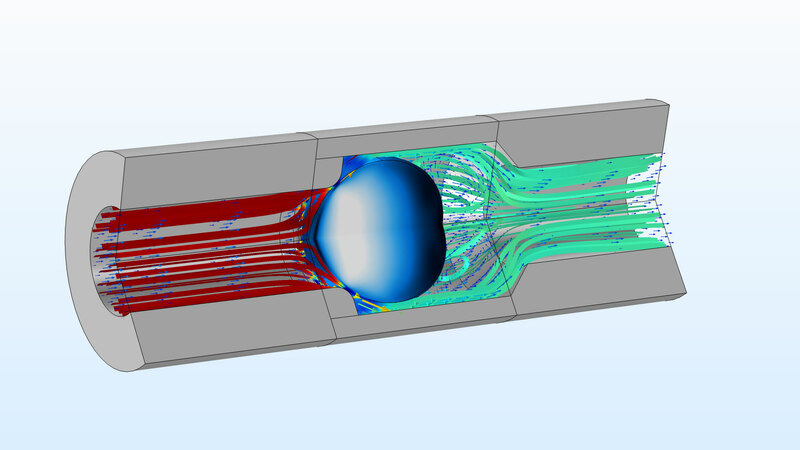 Flow through a ball check valve; streamlines colored by pressure. In many manufacturing processes, material is added sequentially. In most cases, the material should be added in a stress-free state. 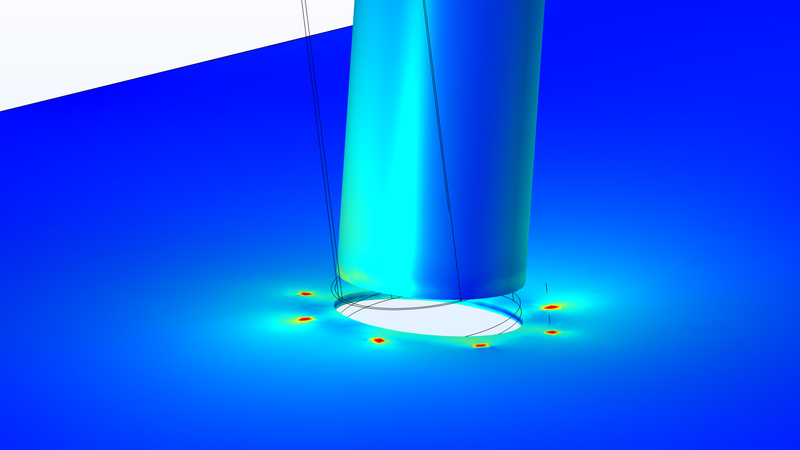 With the new Activation feature, an Attribute for the Linear Elastic Material node, you can add and remove material based on a user-defined criterion. This criterion can be an arbitrary expression, which, for example, depends on time, parameter values, or temperature. 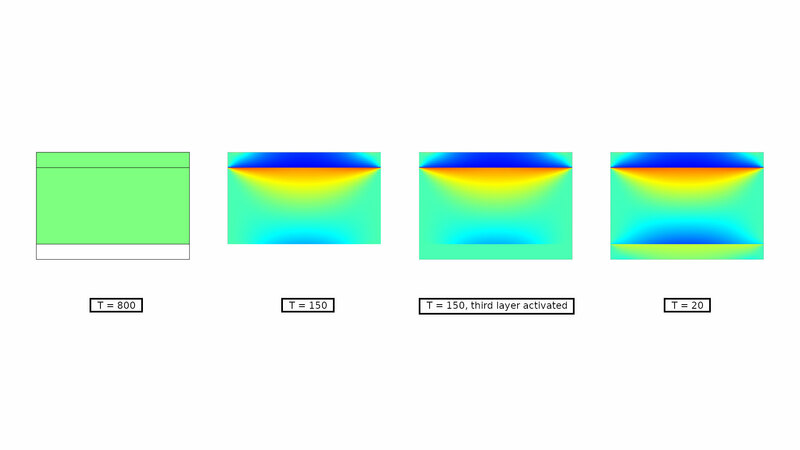 You can see this functionality demonstrated in the Layered Plate model. Stresses in a laminate where material is deposited at different temperatures. Stresses in a laminate where material is deposited at different temperatures. 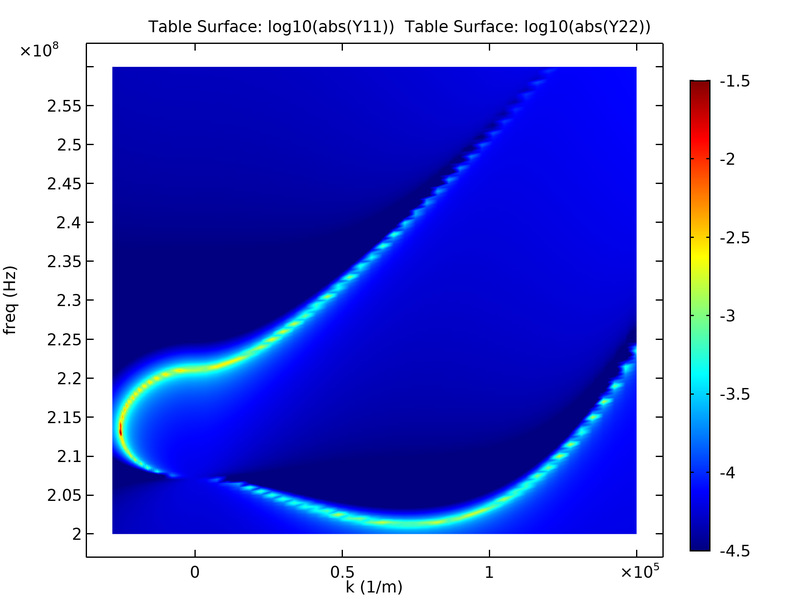 In the Roller boundary condition, you can now specify an analytical surface on which the structure slides. With this functionality, it is possible to also use the roller condition for finite displacements and rotations. The new functionality can be used to avoid situations where the normal vectors of a boundary surface may have less than perfect orientation, such as when using imported meshes. A roller condition, defined as a cylindrical surface, is used at the middle section of this bar. The bar can freely rotate around its axis as well as translate axially. A roller condition, defined as a cylindrical surface, is used at the middle section of this bar. The bar can freely rotate around its axis as well as translate axially. Using rigid connectors is an important method when modeling mechanical assemblies. The selection in a Rigid Connector can now be a combination of boundaries, edges, and points. It is also possible to add a rigid connector directly at the edge and point levels. Connecting points is useful at bolted and riveted connections, for example. The boundary at the end of the pipe is connected to eight points in the plate, using a single rigid connector. The boundary at the end of the pipe is connected to eight points in the plate, using a single rigid connector. There are now two formulations of the Rigid Connector feature: Rigid and Flexible. In the default Rigid formulation, all of the selected boundaries, edges, and points behave as if they were connected by a common rigid body. In some cases, this gives an unwanted stiffening or unrealistic local stresses. You can then switch to a Flexible formulation, where the constraint is applied only in an averaged sense. The flexible formulation is only available for a rigid connector with a pure boundary selection, not when the selection contains either edges or points. Two cantilever beams with an end moment applied using a rigid connector; the upper cantilever employs the new Flexible formulation. 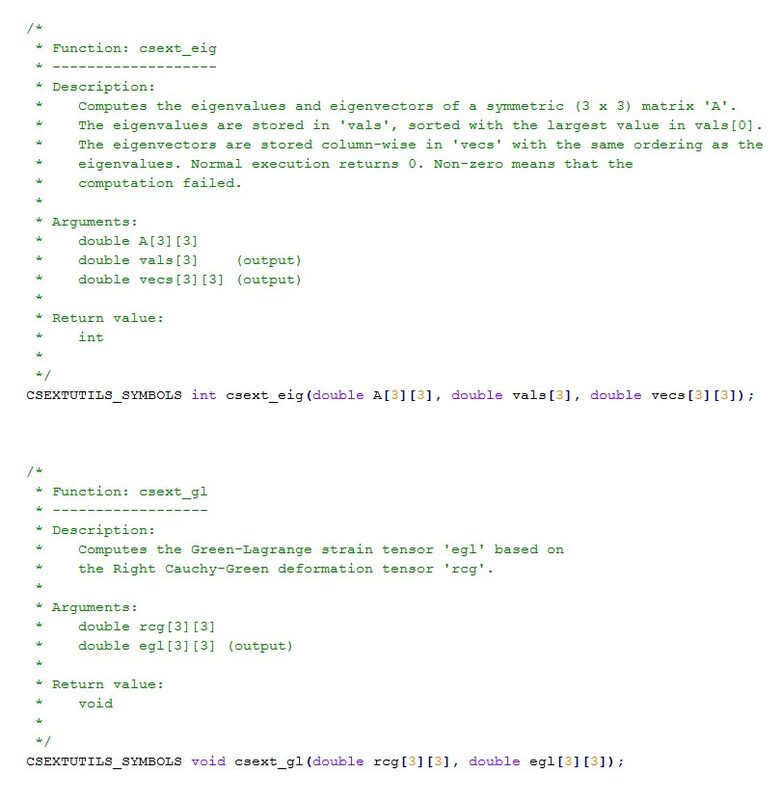 When programming your own constitutive relations using the external materials functionality, certain code segments are used repeatedly. This includes various tensor operations, computation of principal values and orientations, and matrix inversion. 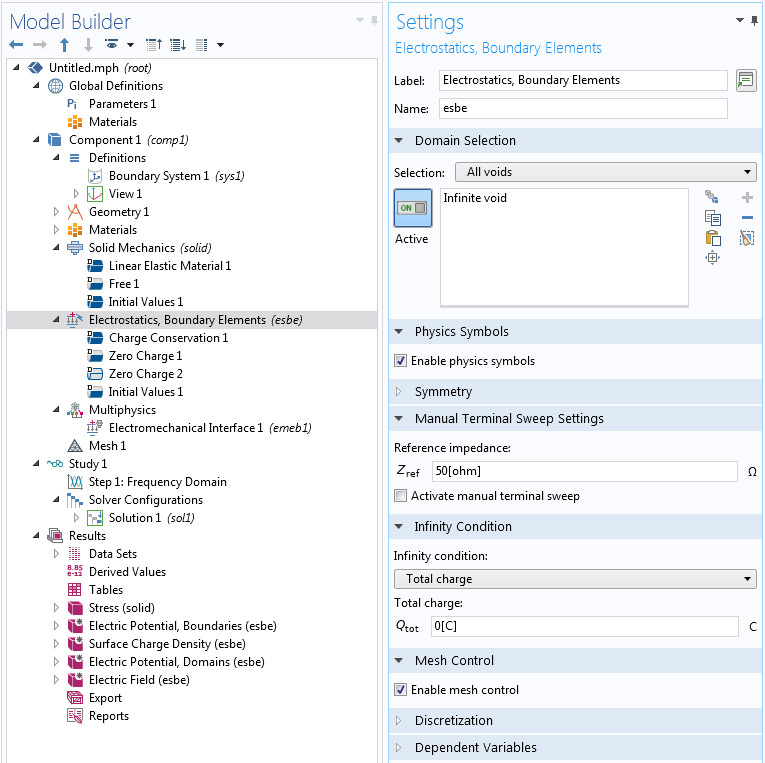 A new library with more than 20 utility functions covers many such common operations and significantly shortens the time spent writing code for material models. 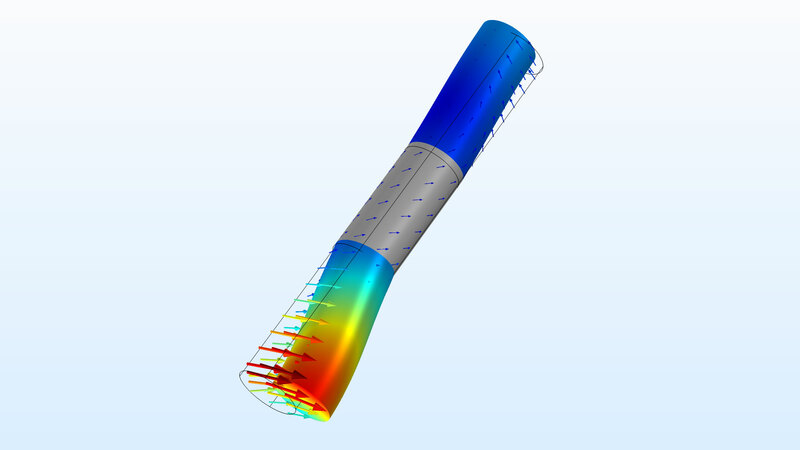 COMSOL Multiphysics® version 5.4 brings three new tutorial models. 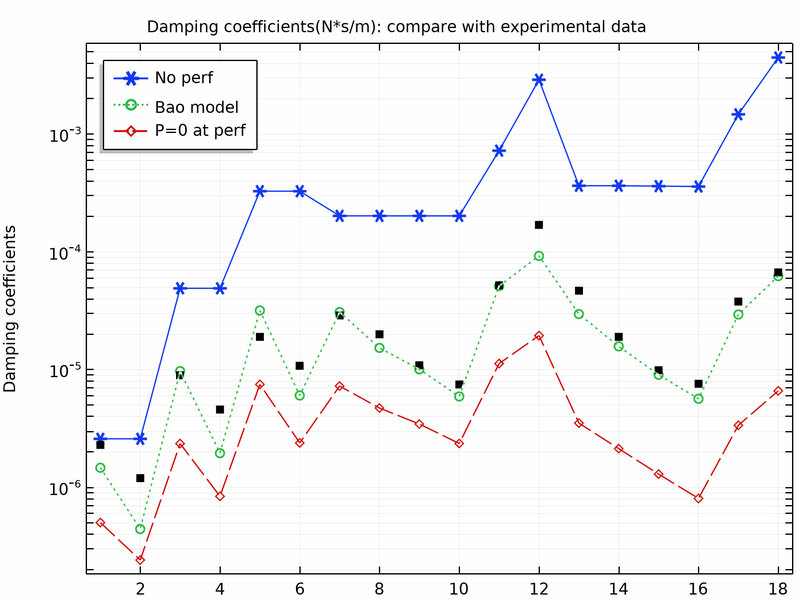 Computed damping coefficients (green) agree well with the general trend and order of magnitude of experimental data (black). Computed dispersion diagram covering both real (propagating modes) and imaginary (evanescent modes) wavenumbers. 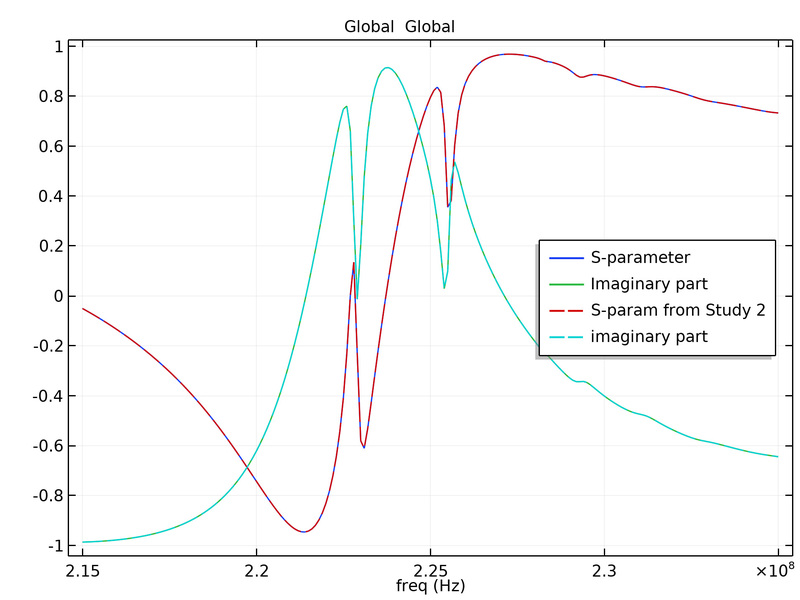 The real and imaginary parts of the S-parameter computed in two different ways agree perfectly.